This season, witness the essence of Dubai hospitality at The Avari Dubai Hotel with its special Summer Stay Free Package. Pay for 2 nights and enjoy the 3rd night free OR you can also pay for 5 nights and enjoy the 6th & 7th night free – Rate @ INR 5,850/-onwards per night. The package provides you with an opportunity to experience the real grandeur and beauty of Dubai with an atmosphere that’s just perfect to unwind and relax. Not forgetting the incredible entertainment, mouth watering food and a spectacular location, The Avari Dubai Hotel promises not only value for money but also the experience of a lifetime! So avail of this exciting Summer Package that includes, welcome drinks on arrival, a sumptuous complimentary buffet breakfast as well as Interactive TV (Free internet services & movies on demand). That’s not it, in this package one can also avail of the complimentary shuttle service to Jumeira or Mamzar Beach and the major shopping centers in Dubai. The package valid until 30th September, 2013. One great fact of convenience about Dubai is that everything in the city is centrally air conditioned and thus, it’s the ideal place to visit all year ‘round, come summers or winters! The city of Dubai reflects the fascinating blend of the custom and traditions of The Middle East along with the international facilities of a cosmopolitan lifestyle. 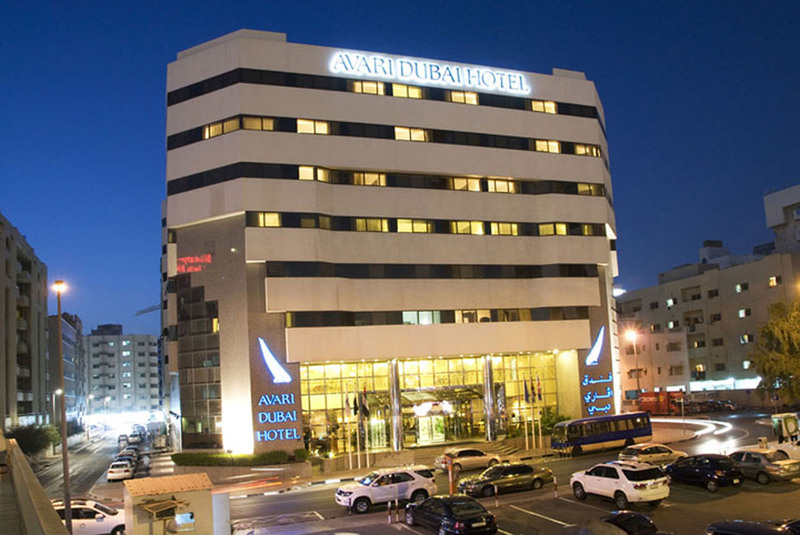 The 4 star Dubai Tourism Graded Deluxe Avari Dubai Hotel is ideally located in the heart of Dubai, 180 meters away from Dubai Metro and right near the world renowned Deira Clock Tower roundabout. It is minutes away from Dubai International Airport, The City Centre and close to all major landmarks including The Dubai Creek Golf and The Yacht Club and adjacent to Dubai’s most famous food street Al Rigga. 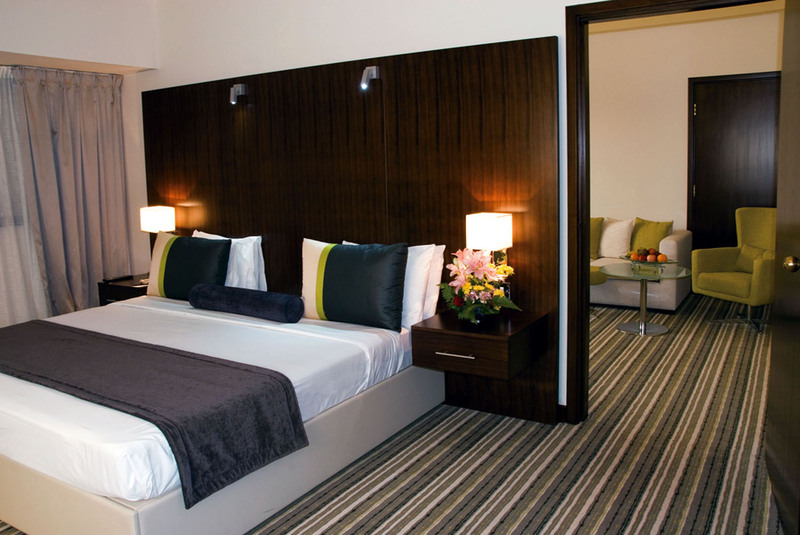 It has 179 newly renovated, well-appointed Rooms (154) and Suites (25). All rooms are centrally air-conditioned with individual temperature control, electronic key card locks, direct dial telephones with voice mail and auto wake-up systems as well as color LCD flat panel TV, complimentary interactive TV (movies on-demand, messages, room service, internet, satellite channels, etc. ), tea/coffee making facilities, minibar, in-room safes, high speed wired internet, hair dryer and telephones in all bathrooms. One can also avail of the fitness facilities like the rooftop, temperature-controlled pool, lockers and changing rooms as well as a fully-equipped cardio gym. So come be a part of this pleasant celebration with Avari Dubai Hotel and gift yourself an experience you’ll never forget! I have time I will be back to read more, Please do keep up the great jo.